Physical security practitioners, Security Managers and Directors, military personnel, Antiterrorism professionals, and Counterterrorism professionals, both domestic and international, as well as Federal, State, and Local Law Enforcement leadership and management and college students studying in these fields. Richard “Rik” Kirchner, Jr. possess over 25 years of combined U.S. military, law enforcement, and professional security experience coupled with many years in business management ranging from Operations Manager of large scale contract security operations to V.P. of Marketing & Sales. For the past eight years he has been employed by the U.S. Department of Defense as an Antiterrorism Officer and Counterintelligence Officer and, most recently, as Chief of the Office of Threat Detection at the U.S. Pentagon. 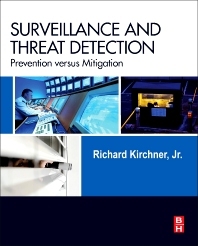 Mr. Kirchner has provided actionable protective intelligence, counterintelligence, and criminal intelligence with corresponding countermeasures with an emphasis on proactive threat identification, abatement, mitigation, and neutralization to reduce risk. Mr. Kirchner provided overall guidance and advice to program managers in development and assessment at the DOD. He was detailed to the FBI National Threat Review Unit and represented Dept. of Defense interests to the National Joint Terrorism Task Force. Chief, Office of Threat Detection, U.S. Pentagon, Washington, D.C.